I have thirteen tattoos as well as several piercings, and I think they're all pretty cool. This past weekend I had the honor of taking my best friend to get her first tattoo. I planned on taking her and her girlfriend (who was going to be getting her second tat) to my favorite parlor, "Il Bacio" in Trenton, NJ. I'm not sure if most unadorned people realize it, but there is a specific process to getting tattooed that goes beyond just choosing what to get. Decide on a tattoo design. Does that mean that you should replicate someone else's image exactly as shown? No, not necessarily, but the photo galleries are great inspiration for figuring out new ideas. On bmezine, for example, the images are broken down into several dozen categories such as Sci-Fi, Lettering, Angels & Fairies, Dragons, Geek, Portraits, Stars, Music, Tribal, Religious Symbols (click the links to see my photo hubs of the different genres) to help you easily navigate through the themes you are most interested in. Decide on the placement. 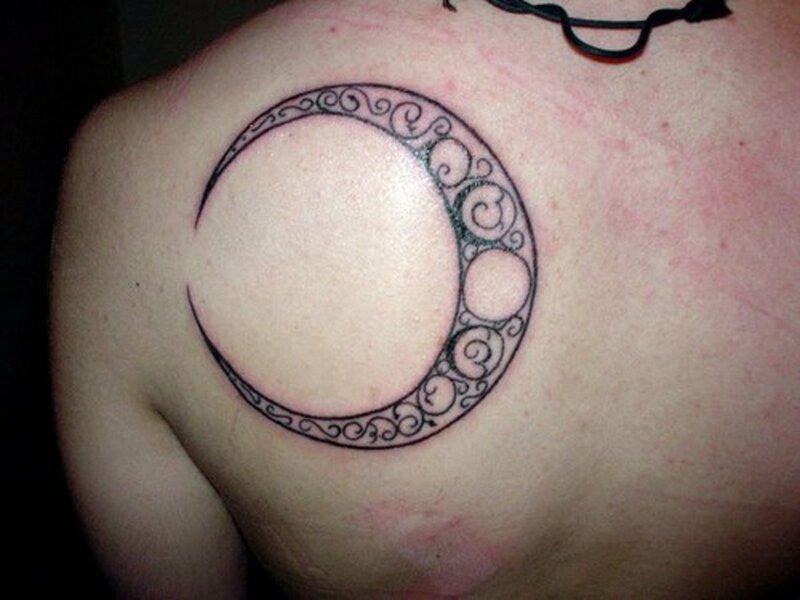 Where on your body would you like this tattoo to go? Do you have any special requirements or restrictions? Figure out what your criteria are, if any. I once worked with a guy, an upscale salesman in a corporate office who had to wear a three-piece suit every day of his life. You wouldn't have known it, but beneath his bourgeoisie threads he was inked from front to back, neck to foot. His job prevented him from having any visible tattoos on his neck, face or hands, so he tattooed the rest of his body instead. When going to the tattoo parlor for a new addition, he was always sure to bring a button-down dress shirt with him. He would put it on to show the tattoo artist what the space limitations were (nothing above the collar or below the cuffs.) So think about this beforehand. 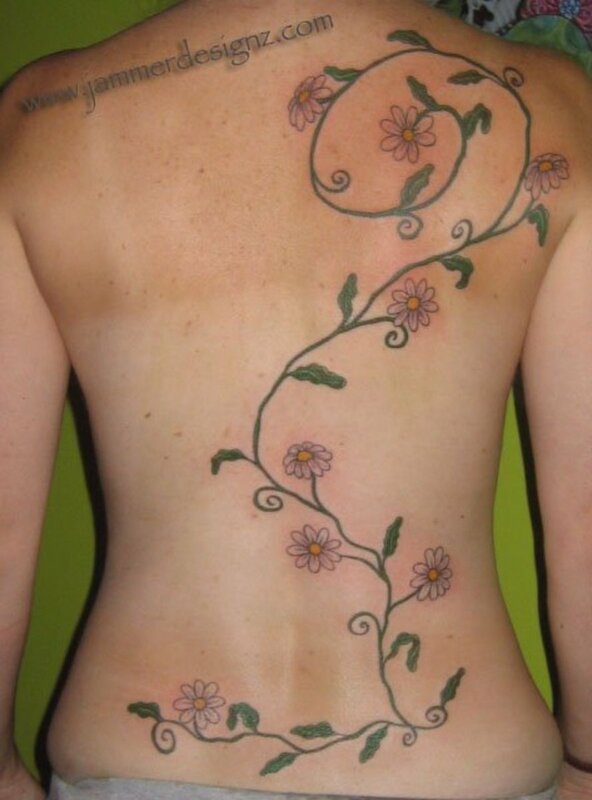 Do you want a tattoo that can be easily hidden if necessary? Easily hidden most of the time? Or does it not matter either way? There's no way to explain the specific pain of a tattoo gun needle penetrating your skin at about a billion jolts per second, but if the idea of pain really freaks you out, you may want to consider placing your tat on a fleshier part of the body, like your upper arms or the back of your shoulder rather than your lower back, which is tender in the middle near the spine, or your wrists or ankles, which do not have the added protection of a lot of skin and muscle. Select a tattoo parlor. Word of mouth is the best way to go. If your friends or acquaintences have tattoos that you admire, ask them where they got their work done and if they remember the name of their particular artist. You may also look online for suggestions, at sites like AAAtattoodirectory for a list of all businesses in your area. If all else fails, you can just default by going to the shop closest to your home and praying for the best. Call the tattoo parlor and ask if they have time to do two small tattoos/one mid-size tattoo/the first session of a huge, ongoing backpiece. This is not usually necessary, as most tattoo shops gladly take walk-ins, but it's courteous and it can't hurt to inquire. Plus, if the shop happens to be overrun at the moment by a group of twenty teenagers from the cheerleading squad all there to get matching pom-pom tattoos, you'll know to wait a few hours before going in. 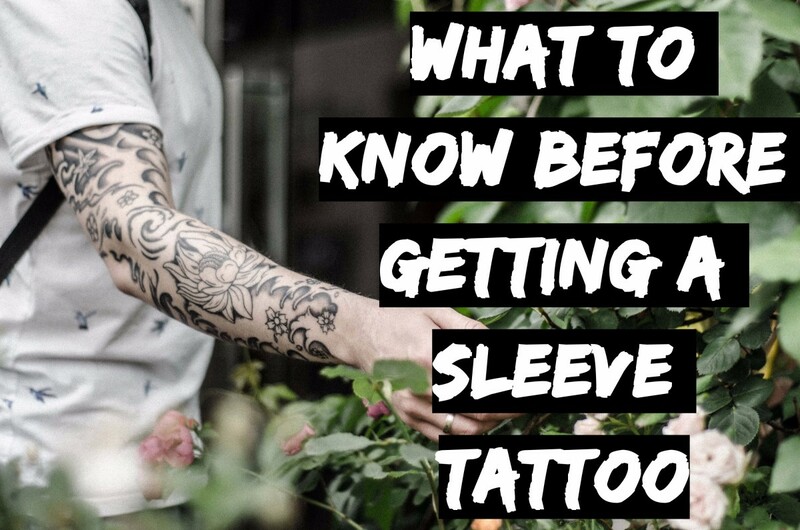 It helps to eat a decent size meal beforehand, as some people have weak stomachs when it comes to tattooing and tend to feel nauseous either during the procedure or just after. Approach the counter and explain that you're looking to get three words above a picture of a heart tattooed on your upper arm. You don't need to go into detail with this person, because most likely he or she is there to take calls and introduce customers to their artists, which is what will happen next. Whichever worker's turn it is will come up to you and you will discuss what you want with him. If you've brought in a picture, hand it over. If you're unsure what type of lettering to get, ask to see a book of fonts (almost all stores have them.) Once you've selected, give the artist a few minutes to draw it up onto a transfer sheet which will later be applied to your skin. Don't be afraid to be assertive. Tattoo artists aren't mind readers. They create the design based on the image in your head, so you have to give them a good idea of what you're looking for. After he draws up the first draft, he'll show it to you for your approval. It is okay to say no. Don't be afraid to say, "That looks great, but can we maybe make it a little bit smaller?" It is no trouble at all for him to use the copy machine to shrink it down to size. Remember, you are a paying customer, and the artists are there to ensure you have a great experience. The same thing goes for when the stencil is placed on your skin. He will apply the stencil and then ask you to look at it. If it's crooked or off-center or anything else, speak up. He will be happy to smear the stencil off your skin and reapply it. Always trust your instincts. If the artist gives you a hard time for wanting to be specific, you may want to consider finding a new shop. This is going to be on your body for the rest of your life, and you have every right to want it done perfectly. I'll get into tattoo parlor etiquette in another article, but suffice it to say that even if you're getting work done by a 300-lb. man named Snake, standard rules of courtesy still apply. DO NOT try to bargain with the price quote, DO NOT brag or make offhand remarks like "My friend so-and-so said his tattoo only cost $75, and it's even smaller than mine is going to be!" Be polite--tattoo prices are not up for discussion. It's okay to be nervous, but try to keep your emotions in check. 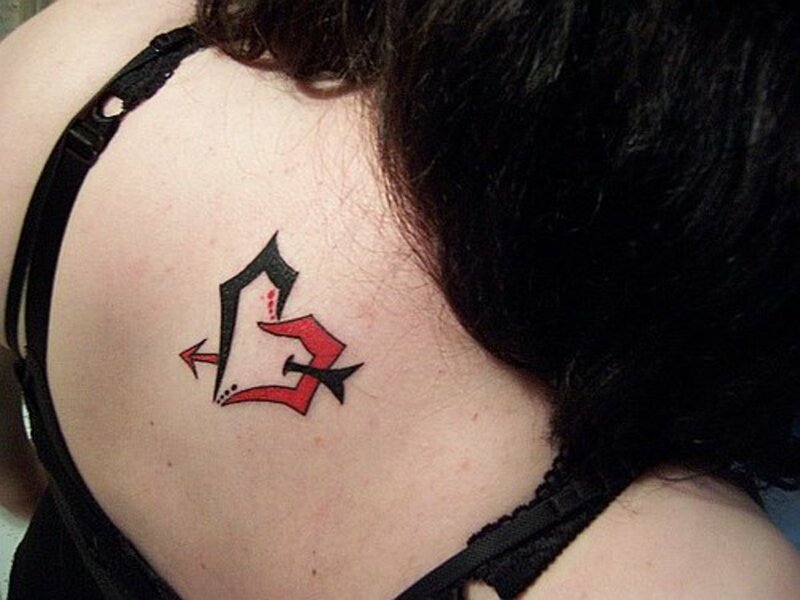 I'll never forget the embarassment I felt years ago while taking an acquaintence to get her first ink. She screamed out a horrid rendition of "Row, Row, Row Your Boat" to help her deal with the pain, then fell off the chair and crawled her way into the restroom when she thought she was going to vomit. If you get hit with a sudden wave of nausea and feel as though you might be sick, don't just jump out of the chair and sprint for the nearest bathroom as this can destroy the precise handiwork of your tattoo. Simply announce to the artist that you feel sick, he'll stop and you can head for the toilet. Finally, DO NOT enter the parlor drunk or under the influence of mind-altering substances. First of all, the artist has the right to refuse to work on you if he sees you are under the influence and secondly, you'll make a fool out of yourself. Stay as still as possible and try to relax. Focusing on something other than the pain helps (look at the artwork on the walls or a magazine in your hands.) Take deep breaths in and out and eventually your endorphins should kick in and the pain will be tolerable. At the end, thank him for his time and hand over his tip. 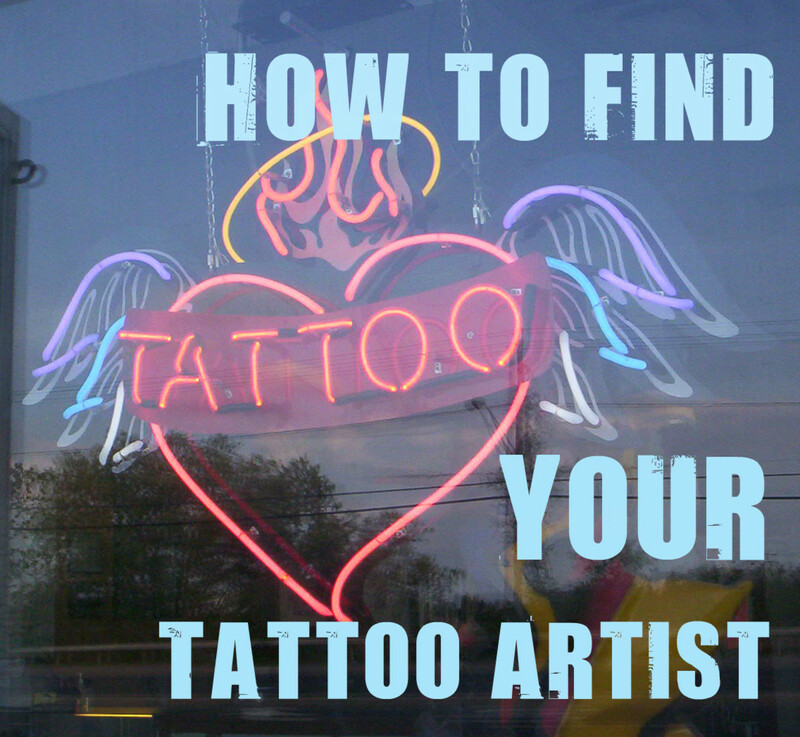 Yes, tattoo artists get tips. Ten to twenty percent is usually a good amount. For example, I typically leave a maximum of $20 on a $100 tattoo. 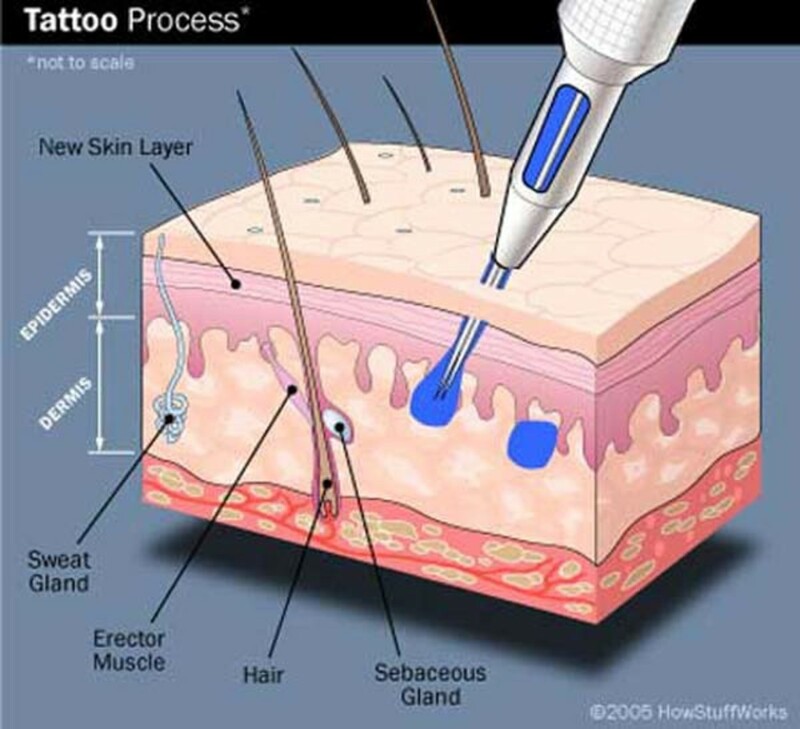 It is common procedure for the artist to explain to you how to care for your new body modification, and most places will supply you with a print-out detailing proper aftercare techniques. If they do not do so, ask for a quick primer in what to do once you get home. When all is said and done, your new ink will be bandaged up with saran wrap and possibly a little bloody, but when you remove the treatment later that evening to wash it and apply the A&D cream, you'll be happy to find a crisp, fresh and hopefully beautifully completed work of art. My New Tattoo Is Itchy—Can I Scratch It? I am getting a full back piece done I managed 3 hours and the outline is done, a lot of pain but no sickness or fainting I was sitting upright leaning against the back of the chair. I went back a week later to get some more work done I ate a decent meal but when I sat down I started to feel like a fire was burning inside me and got light headed what can I do this tattoo is extremely important to me I really want to be able to get it finished. I guess it's a huge moment for you with full of excitement (a little pain, too!) and cheer of placing a wonderful tattoo upon the stuff! Though I didn't do it yet but I have an interest in it. Thanks for sharing your earliest experience. I'm 30 and have 6... About to get 2 more.. Most are hidden but I'll have 2 on my wrist. 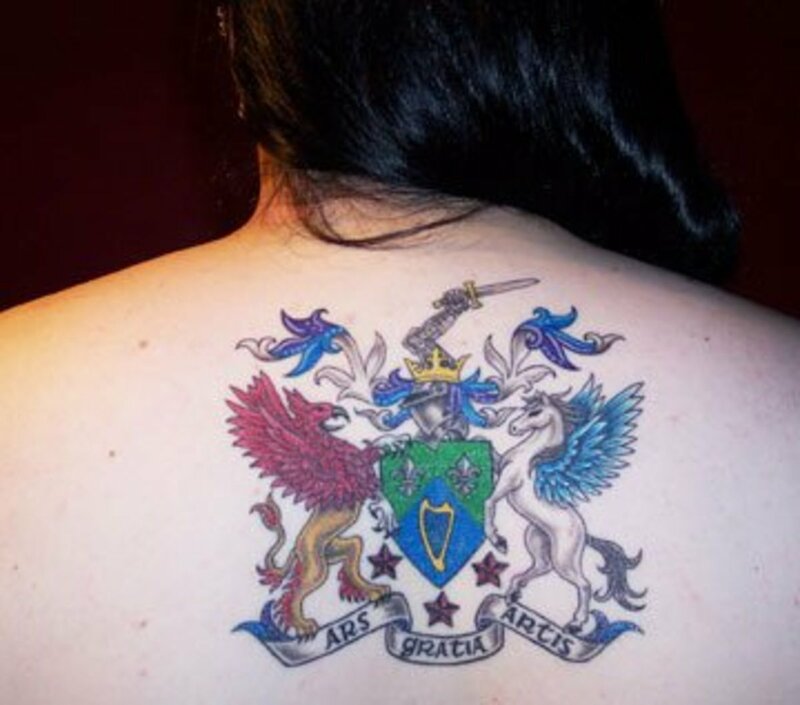 My first was when I was 23, the middle of my back between the shoulders, I was expecting extreme pain, it wasn't too bad until he started getting to the top of the tat. I have 3 on the back of my neck, it actually tickelled more than hurt, one on my hip, no pain just a scratching feeling and on the wrist only hurt in one tiny spot. Girls tolerate pain more than men, and I heard that if you're expecting your period, it hurts less. If you're freaking out, try taking a Xanax to calm you down. Good luck all! Well i'll be 17 in September and I'm wanting my great grandpas name on the inside of my left arm and i'll admit i'ma weak kid but I seriously need to grow some balls and grow up. It will be my first and i'm planning on sometime in the next week or two after I get back from Florida. I've wanted a small tattoo for awhile now ('bout a year) and I'm waiting still another year to be sure I still want it considering I'm only 17. Though I will be 18 in October. I'm looking at maybe a 2-3inch Rebel Alliance symbol somewhere out of the way and not overtly obvious. I'm okay with it hurting, but I'd like to avoid bone if possible, or at least the majority of the tat on the bone. Any sugestions as to location? I want it easily hidden for work, if possible, but something I could show off fairly easy. I just got my first tattoo yesterday on my inner calf. It's about 8inchs by 11inchs fairly detailed and brightly colored. It didn't hurt that much, felt like I was getting my legs waxed. Until the coloring in started. That hurt like a mofu but I think it was because he was going over the same section 3 or 4 times. It took 3 1/2 hours non stop. But today it hurts to walk not all the time but if I've been sitting for a while or standing still. I am 23 years old, had gotten pregnant with my first child, and had a natural labor and delivery without any pain medicines. That doesn't mean I'll be able to handle the pain of a tattoo, I have 2 piercings (tongue, and lip) both piercings, I passed out (afterwards) My tongue i was done, had rinsed and was getting my jacket back on and just fell, my lip, I was walking out to my car and fell out in the parking lot, so there are a lot of factors, just because I can go through natural child birth, doesn't mean I can handle other pain types. To the people here who are concerned about pain, trust me it's not too bad. I am a huge wimp who won't even get a blood test or dental work done. It does hurt but if you keep thinking it can stop at anytime it helps a lot. After the first 10 minutes if just become an annoyance. I have 2 so far, going back for more on my birthday. Hi , I'm Larissa . And Actualy , I'm Getting My First Tattoo Tomorrow . I'm 13 , I'm Getting An Anchor With Some Shaded Star's On The Back Of My Neckk . I'm Getting Because The Meaning Is - I Stand My Ground . Just Think About It And What An Anchor Does ! , It Hold's It's Ship And Place . I have 3 tattoos "even though i consider it one" and from what i have seen most people truly over think themselves, and work them selves up. To anyone who is getting or thinking about a first time tattoo RELAX. Have fun with it, and above all else please make your tattoo original. meaning take time to plan it out and make it yours yours yours. Always be positive and upbeat when you go to get your work. if you are relaxed and having a good time then the artist will be the same way :D. To those of you worried about pain...hmm it felt like a fast buzzing on my skin, and then a sharp ache after i had been in the chair awhile, but it was worth it. Just keep breathing, and stay loose. Your body will adapt to the sensation and dull it. 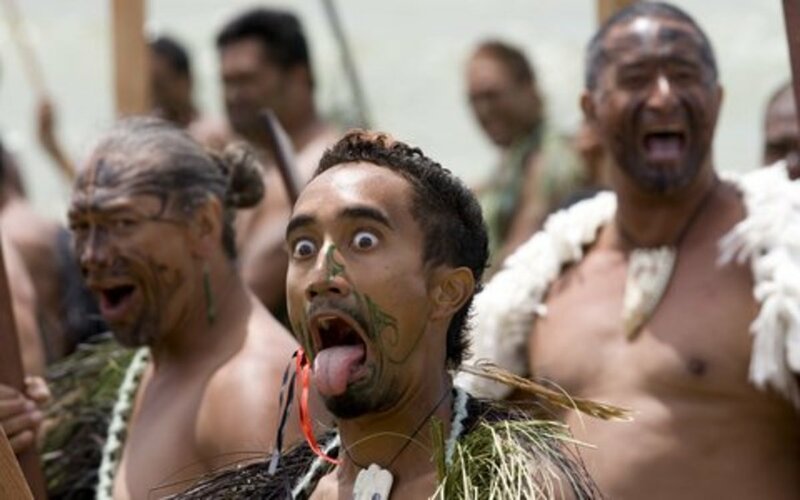 Have fun with the whole process and it will be a memorable moment. Go getem. i'm barley 14 and i'm gonna geta tattoo i need ideas i was leaning toward a dragon or some awsome butterflies i'm a girl and if you have any ideas please hellp!!! thankyou, this was very helpful, im now ready to have a tattoo done! I was wondering if anyone could tell me or give me tips about foot tattoos in means of infection and how to take care of it like should i wear socks and shoes or sandels days after while its healing. any help is appreciated thanks! I'm a future Marine Tanker, and I am wanting to get a Tatt of the Eagle,Globe,and Anchor on my lower back with '1812' underneath it and a Tank above the EGA. I am currently getting Kanji down my rib cage for my first tattoo it will say "Bones" in Kanji, as Im very skinny. lol in Highschool i was nicknamed "Skeleton" or "Bones" so thats the meaning behind that Kanji lol. i got my first tat today i actually designed it 4years before i had it so yes i was sure. it was my first tat and i got it on my foot. 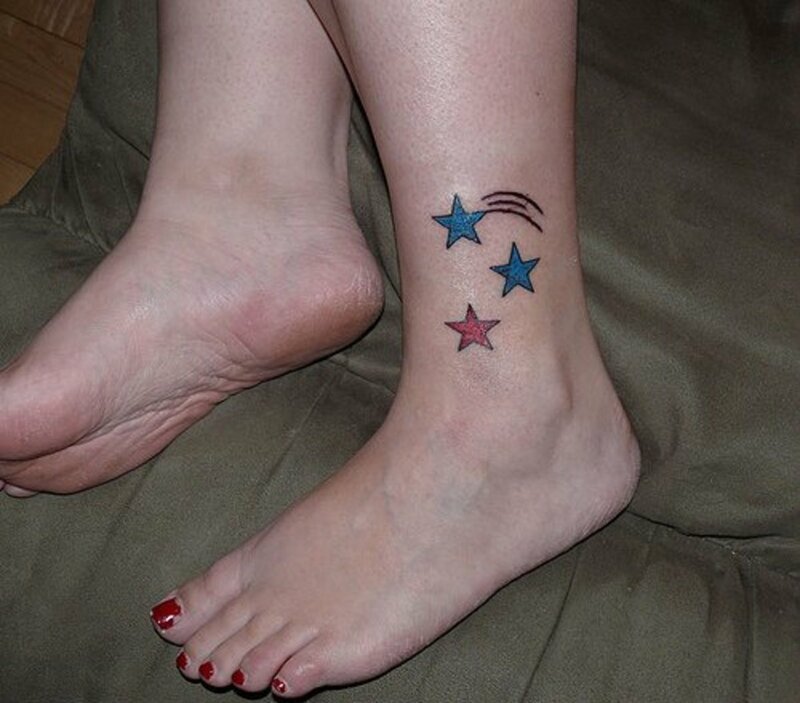 so you can get your first tat on your foot and make it through but don't expect it not to hurt. because it does. if you want it that bad you will take the pain. I have more tattoos than all of u.,,full sleeves, neck, chest, legs,and knuckles. I got my first tattoo 1 week ago, and tis is great advice, but it would be awesome if somewhere there was a site that let you know what was in the tattoo gun. Hey, its great advice, thanks! 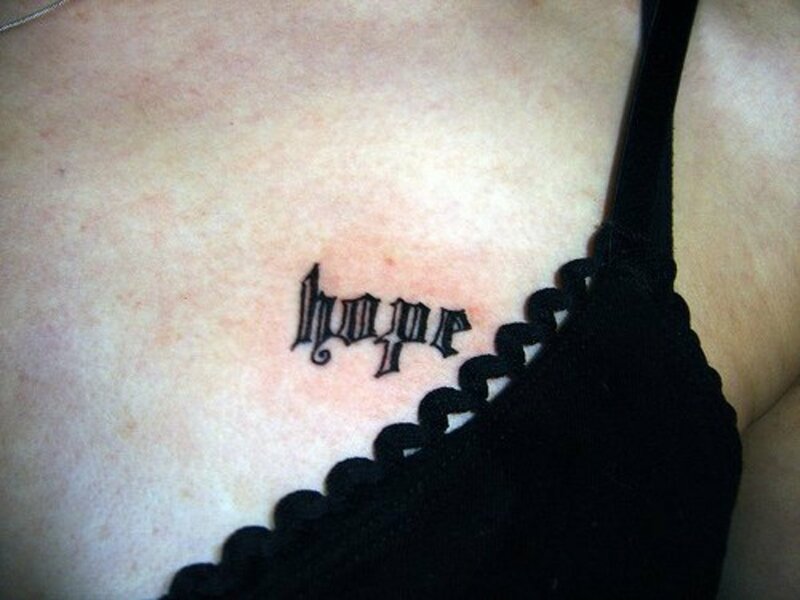 I've been wanting to get a tattoo for a while now but im having trouble figuring out where i want it, i have no problem enduring a little pain and i don't want it anywhere easily visible. I want the quote "lust to love" so if you can help me narrow down my list it would be a great help!! Thanks!! 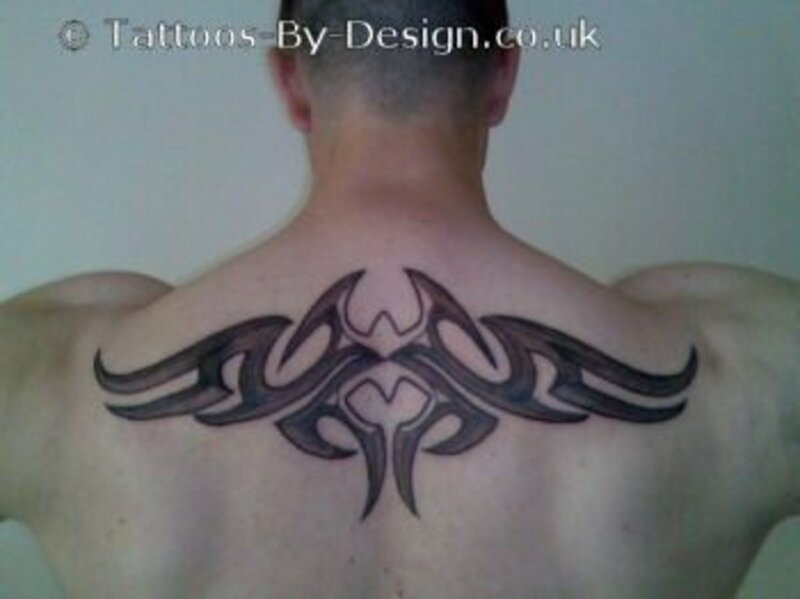 inorder to get a tatooo what can u do to reduce the pain????? becuz i heard that it hurt like a bixtch so i'm really scared of the pain can somepne help??? Most of this is great, but I have on qualm with something you said...if all else fails, go to the nearest local shop and hope for the best. NEVER, EVER do this. I know so many people who have done this and you couldn't do something worse. Yes, there's always a chance that it might go well, but it also might not and that piece of crap work will be stuck on you forever. Scope out every option. If you have to travel a little way, then do it. Don't ever go for second best because they have cheap prices and a mostly clean shop. You always have other options than going to a cheap place if you want a great tattoo. Always remember that you get what you pay for. If it's extremely cheap, then chances are you're getting crappy work. 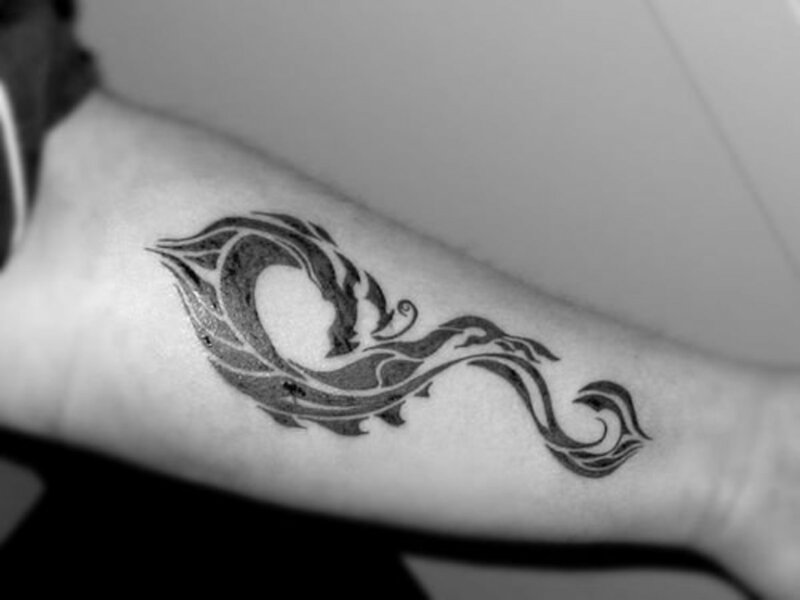 I need to wait until im old enogh to get a tattoo. I was thinking about getting an eye of horus on my right inner wrist (like the one Adam Lambert has) because i think it's the coolest thing ever. Im kinda glad i have to wait because it gives me time to think about if i REALLY want it. so im 15 i rally want a tattoo but not just any...both my bradnpa and grandma have a swollow (each has a different one so they want me to get my own individual one as long as its a swollow) on their inner arm so my mom and i want to go get our swollows..i thought about it for a while and im thinking about getting johnny depps swollow with the water and sun (im also a really big johnny fan) but its my first and im terrified. i plan on getting two others but they're really colored and big so that prolly wont be a good first one. im 19 at the moment and decided about two years ago that i wanted a tattoo that represented my late granddad. i decided on the design for it but i don't want it as my first tattoo. 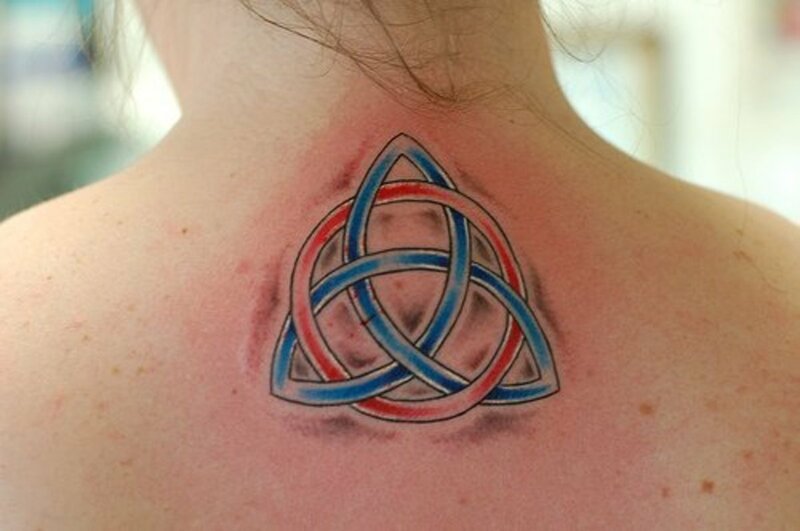 i want a more simple one that represents my family as they mean everything to me but im unsure of what to have. i thought about a simple image of an angel with the word family underneath it but decided against it. my mom has agreed to pay for it as a present for my 20th birthday in july but i need a few more ideas. any help anyone?? 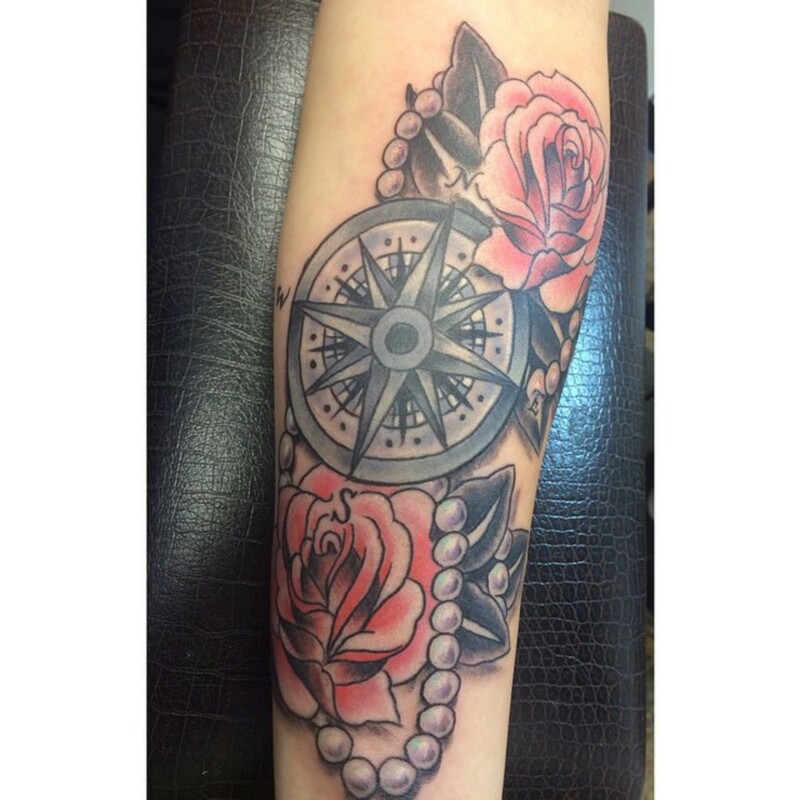 My oppinion on tattoos is when you know what you want, wait 6 months to get it so your sure that u will stil want it. Also, i believe that tattoos should tell a story of your life or experiences, so get something meaningful. I have 4 and people are always asking about the meaning and its kind of nice telling people the stories behind them and it also give you a chance to reminice. I got my first tattoo last year. It is my daughter's name (Adriana) on my left hip (I plan on adding on to it). I got my second tattoo 4 months ago. I got a tribal heart on my lower back. Let me tell you, it hurt like hell! The lower back is a very sensitive part of your body to get tattoo'd. Especially if you are boney. lol. I hadn't eaten much that day, so about halfway through the outline I started sweating really bad and feeling like I was going to faint. I let the tattoo artist know, so she took a break, turned the fan on in front of me and gave me a Capri Sun to drink (to get my blood sugar back up). I asked if I could lay down and apparently I passed out for a few seconds. It was so embarrassing! lol. When I felt ready, she finished the outline and I decided to have it filled in another time. Before I went in to have it filled I ate something and didn't pass out. : ) The moral of the story is that it is important to eat something substantial before you get a tattoo. You shouldn't eat too big of a meal though. You just have to get a feel for how you handle the pain. Some people throw up.....That is why when I got my first tattoo I got something small so that I could get a feel for it. first off a i think that if you are going to get a tattoo u have to be sure of what u want ,make sure you are absolutely sure of what u want .This is something that u carry for the rest of your life .Except of course if your planning to spend money on laser removal later on. It is painful like having a cut on your skin like the constant scratching of a bunch of needles on your skin. lots of people react different to pain just because it didn't bother ur friend it does not mean it will be the same for u , just think about it, decide carefully and good luck to those who are thinking about having their first tattoo done . I want my first tatoo to be the left Eye of Horus in the middle of my lower back , but i'm scared it will be too painful to bear. How should I brace myself? Okay I am needle phobic. To like an extreme. They walk in the room with a needle and Im flush and nausiated. Well I got one tat. Its on my ankle. I designed it myself. It is something that I had wanted for a long long time. So I got it. I was prepared for the worst. Thinking its gonna hurt like hell. Well I was so worried about the pain it was over before I knew it and it felt like I had road rash on my leg. So it wasn't so bad. I am currently thinking about a second one but we will see. I would suggest getting something that is meaningful to you. Not anyone else. Its your body not theirs. I am glad I finaly got the nerves to do mine. And to beat all heck. My mother paid for mine. It was my 19th birthday present from her. My dad on the other hand was pissed but he saw what it was and left it. I mean its like an inch tall. So size matters too. Lol. Think about it. Don't just jump in there and get what everyone else is getting. i want to go in and get my first tattoo but i'm scared about what people will think of me, i've been bought up in a household that thinks tattoos are tacky and low class, i know that my mum in particular will have a few things to say about me getting one, i'm 21 but her opinon means a lot to me, problem is that because i grew up in that environment it's making it hard for me to settle myself into the attitude that it's not as tacky or low class as it was made out but means something different for everyone, and consequently it's making it hard for me to pick a design because it's something that i want to look at and think omg this is brill! what are all your thoughts?? i cant even remember my first and i have 7 and counting. im also a tattoo artist and some of the crap ya hear from a friend of a friend is BULL!!!! as far as pain everyone tolerates pain differently. just cause it hurt like hell for one person doesn't mean it'll feel the same for u. also don't just get a tat cause its ur first and u just want one THINK,THINK,THINK its permanent. all my tats mean something to me from life experience cause what u think is cool now might not be in a year. but mine will always mean something and u'll never regret getting something(example) like a family member who pasted away. well these r just my thoughts on it. (FYI) ive been doing tats for 11 years now. This was one of the first results that came up on Google for me, and I've got to say it really calmed me down. I'm leaving in a few minutes to go get my first tattoo, and my nerves are through the roof. After reading this, I think I'm gonna stop to get some food first. I've got a weak stomach (I threw up after I got my ears pierced), but this is something I really want to do. Thanks for the advice on this page! Hey guys just a quick word on preparing for a tattoo, i own a shop in scotland and tell every customer to have good amount of food and plenty fluids before getting a tattoo done. Also breathing in a curcular pattern is a good plan as this helps the body get endorphins into the system and will dull down the pain. For areas of extreme discomfort its handy to know that the artist will work in a similar way to a sniper taking a shot, they will hold their breath to steady their hands and stop at the end of each breath (you can feel this is about to happen when they put a stretch on your skin) if you exhale slowly and steadily as they work you will greatly reduce the amount of pain you feel. Hope this helps and good luck guys!!! You are placing needles into your skin, discomfort is to be expected. 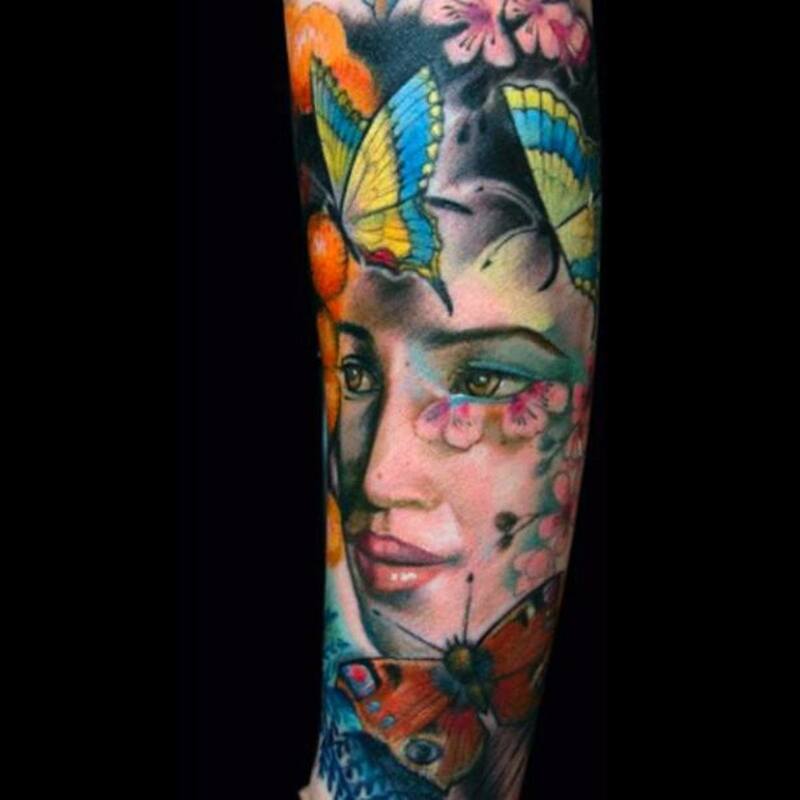 Numbing creams etc swell the tissue and can distort the image while the artist is trying to tattoo it. Part of getting a tattoo is the pain. If it hurt THAT bad so many people wouldn't be running around with them right? Give yourself time to get use to the feeling. Its annoying more than painful. Like a catch scratch, sunburn, or bee sting. if you cant handle pain, don't do it. You'll just be making it that much more difficult for the artist who is trying to do their job. I'v been thinking about getting a tattoo for the past few months, baby steps though-won't do anything till im completely sure. Im considering maybe having a (coloured) side-body piece, peacock-feather/treeish thing/flowerss/lettering, don't know. But my question is, how will the changing of the body affect a tattoo? F.ex. im 23 now and slim, but what could happen when in the future i should get pregnant and the body streches and gets bigger (and afterwards slims again)? 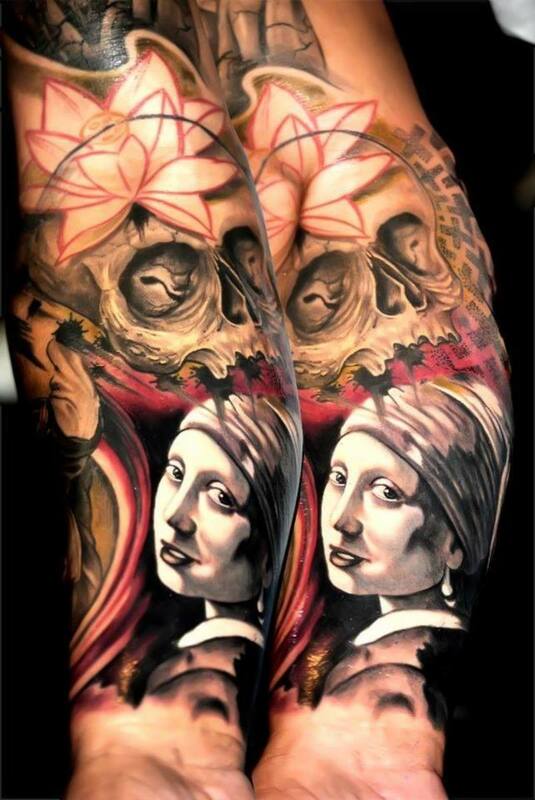 And also, has anyone maybe heard of a very good Dutch tattoo artist? Bescause im from Holland. The only one that is known for his good work (in my world that is) is Henk Shifmacher, but there should be more.. Thank you so much for helping!! 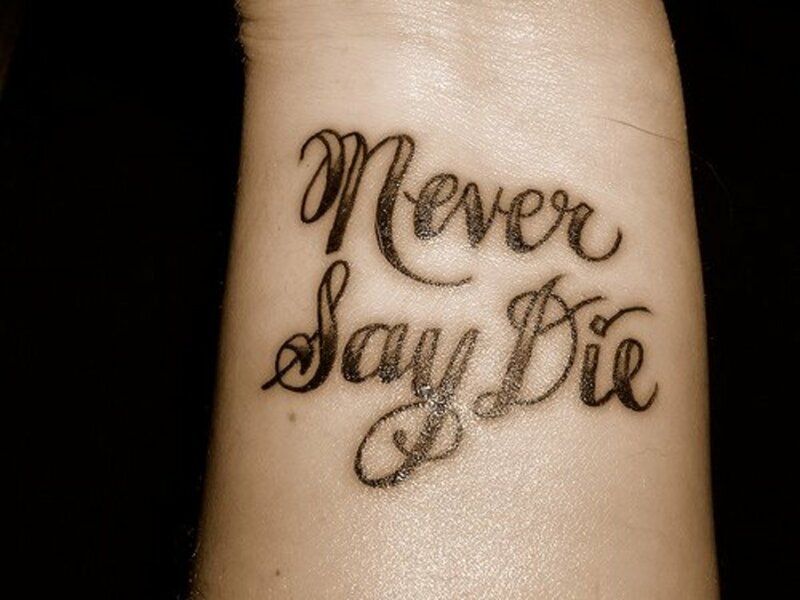 very great advice for first-time tattoo-ees :) i will be in that situation someday. i currently don't have any tats but i really want something relating to music. i thought about getting a couple music notes behing my right ear... but i heard it might be too painful for a first tattoo... haha. but still the advice ehre is great. thanks! shotta gyal, i think you should think about this for a little longer, your 15, when your 25 you wont want a tat of a flower with your mum's name in it !!! Its the kind of tattoo kids get with mums name so that mum wont go totally mad at them. be a little more original and remember, it hurts, and they don't rub off. Im not slaggin you off, I have 4 tats of my own, I just think you should think about it a little more. hey,can sumone help me on advice of getting a tattoo?? 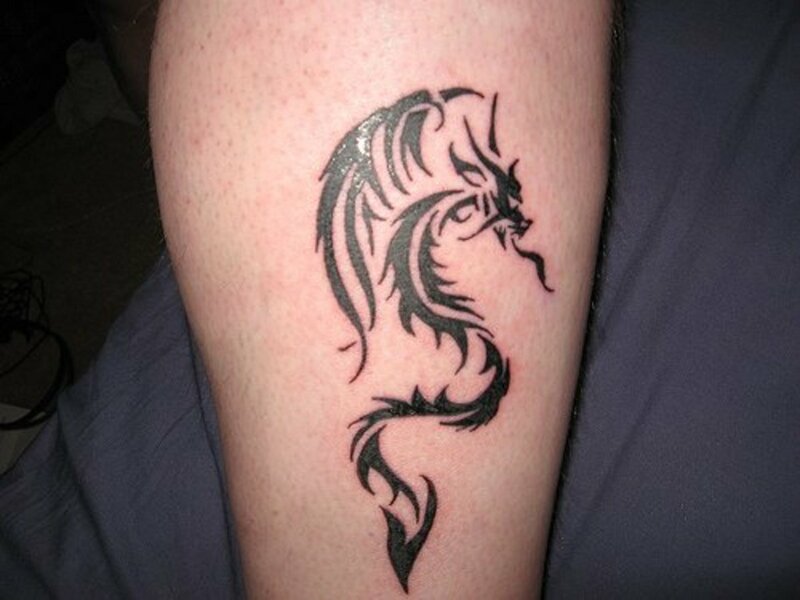 well,i'm 15 and me an dmy mother sat dwn an talked about me gettin a tattoo...so its settled. i can get one..what i really want my tattoo 2 look like is an image of a flower or something with my mother's name but i just dnt no what image 2 use! and i've got 1 month 2 figure out this! help plzzzz!! P.S.PLEASE AND THANK U!! Great advice, it helped me a lot for my first tattoo. I was getting my first tattoo today I got very faint and nausious, what can I do to prevent that when i go to finish it? PS I didn't eat before I went. 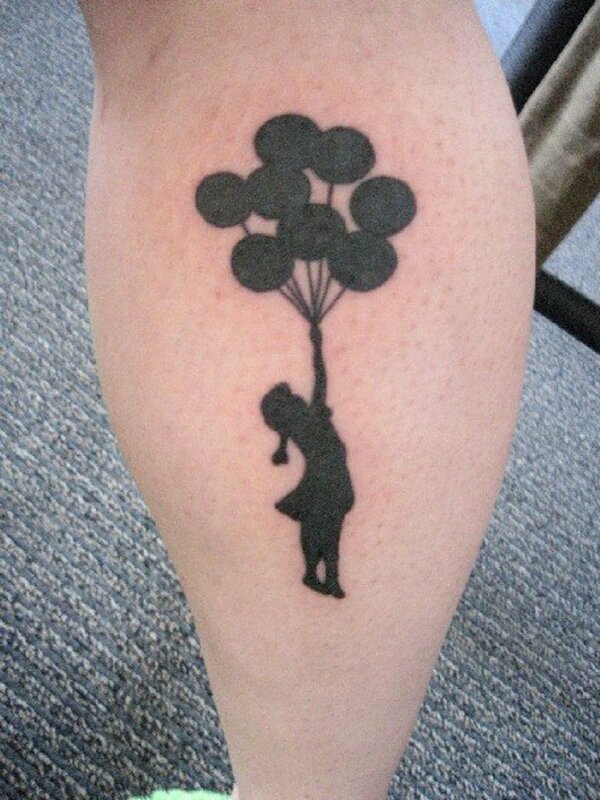 im so scared to get this tattoo tht ive wanted for a long time and im scared its going to hurt really bad for me. is there ANY way for it not to be painful? Regarding tipping, it's not always necessary to leave a large monetary tip. If you can, it's nice, but tattoo artists generally earn decent money, and many probably remember the days when they had to save up for their first tats. Most tattoo artists I've talked to are just as happy to get a plate of cookies and a sincere &quot;thank you&quot; as they are to get a $20. This is really, really great advice, becauseilive! When I was getting my most recent graywash Ghost Writer tattoo (ghost in a library) I had looked at many artist portfolios before deciding on who I wanted. I reserved a large place on my body, and I had a couple of photos of ideas, but wanted to create something totally unique. The artist came up with an initial concept. Like you said, he's not a mind reader, I had to speak up and tel him what I loved and what I didn't. 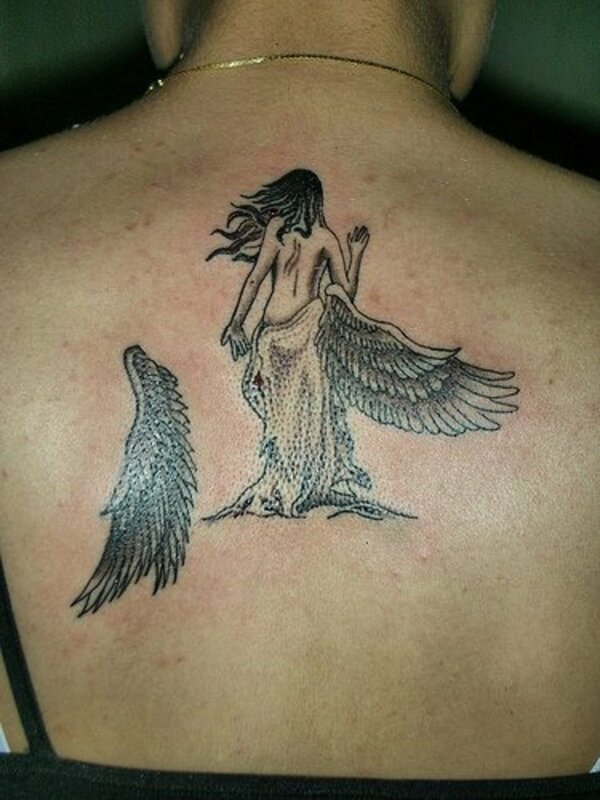 Before long we had the exact piece I wanted, and 4 sittings later it was completed.